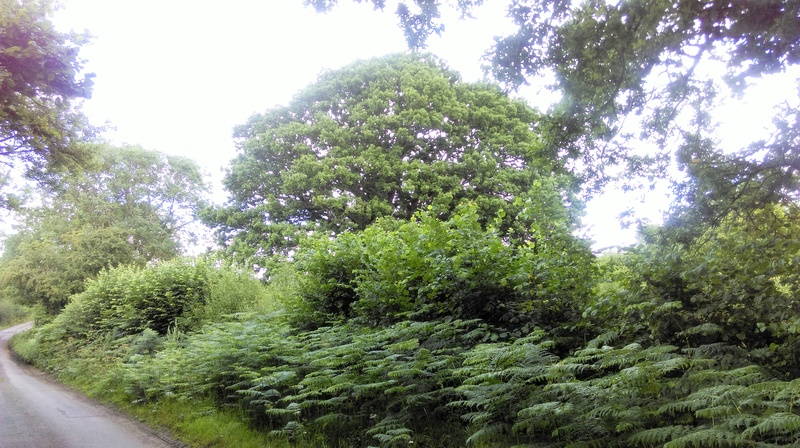 Followers on Instagram will be familiar with this view, but if you’re wondering why this particular oak tree, at the moment nestling behind a rather overgrown hedge of hornbeam and bracken, features on my Instagram feed so often, it’s because for the last couple of years, I’ve been taking a photograph every day – well almost – of the same tree. It started in the winter, when I noticed the exquisite skeletal shape of its bare branches. I decided to record the seasonal changes of this one tree, watching every day for the subtle differences which the turn of the year brings about. If you scroll back through my pictures on Instagram, you’ll be able to watch the tree go through these changes – in reverse! This simple daily practice has taught me much more than simply how an oak tree alters through the course of a year. I’ve learned that the quality of light makes a huge difference to how we see the same view, I’ve learned to appreciate so many subtle changes in the flora of the lane, and I’ve learned that a habit really can be embedded. But the most important thing I’ve learned, is that persistence delivers far more than you initially predict and a daily practice may start out with one purpose, but lead you to unimagined potential.